Suprima is a robust, scaleable prepayment electricity vending system supporting electricity suppliers around the world in revenue collection and customer information management. It is a highly flexible open system that integrates with any existing infrastructure where simple or complex service tariffs are entrenched via legislation. Suprima utilizes the Microsoft Windows operating system environment and resources. 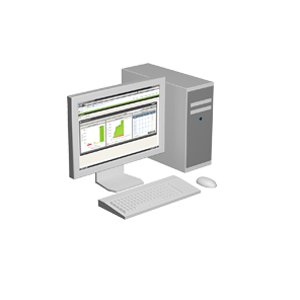 It offers multi-threaded transaction processing together with background system monitoring, for data integrity and operational reliability. Suprima interfaces with industry-leading database applications such as Sybase and Microsoft SQL Server. Various combinations of these database types can be combined to provide a cost-effective mix of off-line units in remote districts, together with powerful on-line transaction vending options in communication-rich metropolitan regions. Suprima caters for many different system requirements from the smallest to the largest configurations as witnessed by the large number of existing deployments across the globe.